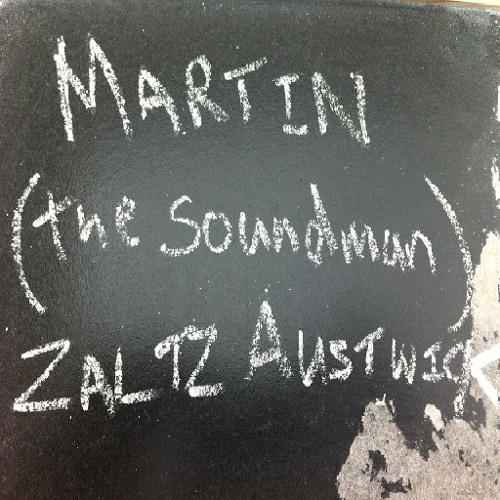 In GBA 67 we get better acquainted with Martin "the soundman" Zaltz Austwick from the podcasts Answer Me This!, The Sound of the Ladies, The Global Lab Podcast and Bright Club. But there is much more to Martin than podcasting: I talk to Martin about treating cancer with lasers, the relationship between physics and sociology, songwriting, public engagement, the relationship between class and studying at Oxford, changing your name when you get married, reverb, the history of social housing in the UK and more. This episode is part of a strand of GBA where I talk to podcast makers and radio makers: http://soundcloud.com/gettingbetteracquainted/sets/podcasters-and-radio-makers For more about Answer Me This! (including reference to Martin) have a listen to the GBA I did with it's hosts Helen and Ollie: http://soundcloud.com/gettingbetteracquainted/gba-65-helen-and-olly Martin Plugs: If you're interested in his music: The Sound of the Ladies: http://www.thesoundoftheladies.com/ If you're interested in sciencde engagement stuff: http://www.sociablephysics.com His two twitters: http://www.twitter.com/sociablephysics http://www.twitter.com/martinaustwick Mentioned in the Episode: Darren Hayman: http://soundcloud.com/gettingbetteracquainted/gba-62-darren-hayman Coventry Special: http://soundcloud.com/gettingbetteracquainted/gba-64-coventry Gavin Osborn: http://www.myspace.com/gavinosborn Bright Club: http://www.brightclub.org/ Martin talking lasers on Bright Club: http://brightclub.wordpress.com/2010/05/11/podcast-2-martin-king-of-lasers-austwick-and-kent-valentine/ Martin talking fictional lasers for The Naked Scientists: http://www.thenakedscientists.com/HTML/content/latest-questions/question/3337/ The Global Lab: http://www.thegloballab.com/ Science Showoff: http://www.scienceshowoff.org/ Answer Me This: http://www.answermethispodcast.com/ The Dave: http://soundcloud.com/the-dave/sets The Plural: http://soundcloud.com/the-plural You can hear Getting Better Acquainted on Stitcher SmartRadio, Stitcher allows you to listen to your favourite shows directly from your iPhone, Android Phone, Kindle Fire and beyond. On-demand and on the go! Don’t have Stitcher? Download it for free today at http://www.stitcher.com or in the app stores. Help more people get better acquainted. If you like what you hear why not write an iTunes review? Follow @GBApodcast on Twitter. Like Getting Better Acquainted on facebook. Tell your friends. Spread the word! Smooth background music ! Check out my latest tune at www.soundcloud.com/dublicateofficial Leave a comments if you want. Keer up the good work!